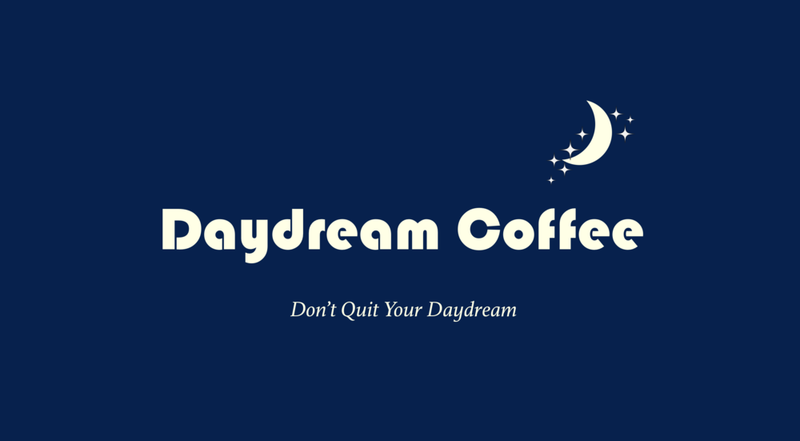 We are not responsible for the content or privacy practices on any web site not operated by Daydream Coffee Company LLC to which the Site links or that links to the Site. (a) Registration and Ordering. Before using certain parts of any Site or ordering products, you must complete an online registration form. During registration, you will be prompted to provide to us certain personal information, including but not limited to your name, shipping and billing address(es), phone number(s), email address, and credit card number. These kinds of personal information are used for billing purposes, to fulfill your orders, to communicate with you about your order and the Site, and for internal marketing purposes. If we encounter a problem when processing your order, your personal information may be used to contact you. (b) Email Addresses. Several locations of the Site permit you to enter your email address for purposes including but not limited to: to register for a contest or sweepstakes; to request us to notify you of new products; and to sign up for email newsletters and special offers. Your participation in a contest or sweepstakes is completely voluntary, so you have a choice whether to participate and disclose information to us. We use this information to notify contest and sweepstakes winners and to award prizes. By entering a contest or sweepstakes, you may be opting in to receive our email newsletter and special offers and this will be disclosed in the official rules governing the contest or sweepstakes. We may combine the information we collect through cookies and web beacons with other information we have collected from you or information from other sources. We may combine the information we collect from you with information we receive about you from other sources, such as address update services. (d) Log Files. As is true of most web sites, the Site server automatically recognizes the Internet URL from which you access the Site. We may also log your Internet protocol (“IP”) address, Internet service provider, and date/time stamp for system administration, order verification, internal marketing, and system troubleshooting purposes (An IP address may indicate the location of your computer on the Internet). IP addresses are not used to track a user's session. This information only helps us determine how often different areas of our Site are visited. We do not link IP address to any information that is personally identifiable. (a) Internal Use. We may use your personal information to process your order and provide you with customer service. We may internally use your personal information to improve the Site's content and layout, to improve outreach and for our own marketing efforts (including marketing our services and products to you), to provide interest-based advertising to you based on the way you browse and shop on the Site and other platforms, and to determine general marketplace information about visitors to the Site. In order to facilitate such use and the other uses described in this Section 2, we may share your information with affiliates under Daydream Coffee Company LLC’s control. (b) Communications with You. We may use your personal information to communicate with you about the Site and your orders and deliveries. Also, we may send you a confirmation email when you register with us. Consistent with applicable law, which may require express consent, we may send you a service-related announcement on the rare occasions when it is necessary (for example, if we must temporarily suspend our service for maintenance). Also, you may submit your email address for reasons such as to register for a contest or sweepstakes; to request us to notify you of products; and to sign up for email newsletters and special offers. If you submit your email address, we may use it to deliver information to you. We always permit you to unsubscribe or opt-out of future emails (see the “Opt Out” section, below, for more details). Because we have to communicate with you about orders that you choose to place, you cannot opt-out of receiving emails related to your orders. (i) As do most Internet retailers, we sometimes use others to perform specific functions on our behalf. When we disclose information to these service providers, we disclose information to help them to perform their service. For example, in order to deliver products to you, we must share some information. We partner with third parties (such as the U.S. Postal Service and United Parcel Service) to ship products, to ensure delivery, and so that we can obtain feedback, improve the quality of our service, and measure and improve the quality of the service of the third party. In the example of shippers, we provide them some personally identifiable information such as your name, shipping address, email, and phone number. (iv) We may disclose such information in response to requests from law enforcement officials conducting investigations; subpoenas; a court order; or if we are otherwise required to disclose such information by law. We also will release personal information where disclosure is necessary to protect our legal rights, to enforce our Terms of Service or other agreements, and to operate the Site or to protect ourselves or others. For example, we may share information to reduce the risk of fraud or if someone uses or attempts to use the Site for illegal reasons or to commit fraud. We may use third-party advertising companies that use tracking technologies to serve our advertisements across the Internet. These companies may collect information about your visits to the Site and other websites and your interaction with our advertising and other communications. These advertising companies serve ads on behalf of us and others on non-affiliated sites, and some of those ads may be personalized, meaning that they are intended to be relevant to you based on information collected about your visits to this Site and elsewhere over time. Other companies may also use such technology to advertise on our Site. Whether our visitors would reasonably expect that we would retain the data until they remove it or until their Daydream Coffee accounts are closed or terminated. The Site incorporates reasonable and appropriate physical, electronic, and administrative procedures to safeguard the confidentiality of your personal information, including Secure Sockets Layer (“SSL”) for all financial transactions through the Site. We use SSL encryption to protect your personal information online, and we also take several steps to protect your personal information in our facilities. Access to your personal information is restricted. Only employees who need access to your personal information to perform a specific job are granted access to your personal information. Finally, we rely on third-party service providers for the physical security of some of our computer hardware. We believe that their security procedures are adequate. For example, when you visit the Site, you access servers that are kept in a secure physical environment, behind a locked cage and an electronic firewall. Upon your request, we will (a) stop sending emails to your email address; and/or (b) disable your account to prevent any future purchases through that account. You can make these requests at the “Contact Us” section of the Site http://www.daydream.coffee/contactus, or by emailing your request to daydream.coffee’s Customer Service Team at daydreamcoffeeco@gmail.com, or by calling 1-708-505-5462. This website is not directed toward children under 13 years of age and Daydream Coffee Company LLC does not knowingly collect or use information from children under 13 without verifiable parental consent. If you believe that a child has provided personal information to us, please contact us promptly as described below, and we will endeavor to investigate and delete such information from our systems. This Site may link to, or be linked to, other websites not maintained by or related to Daydream Coffee Company LLC. Daydream Coffee Company LLC is not responsible for the privacy policies or practices of any third parties or third-party websites, including any linked or linking websites. To the extent that you disclose personally identifiable information to any such third parties, different rules may apply to their use and disclosure of personal information that you disclose to them. We encourage you to review the privacy policies of such websites before disclosing your personal information to them. If you are under 18 years of age, reside in California, and have a registered account with us, you have the right to request removal of unwanted information that you publicly post on the Site. To request removal of such information, you can contact us as provided below. Upon receiving such a request, we will make sure that the information is not publicly available on the Site, but the information may not be completely or comprehensively removed from our systems and databases.